Weird animals – and the ugliest ones on earth! These books of freaky fluffies will astonish little bookworms! 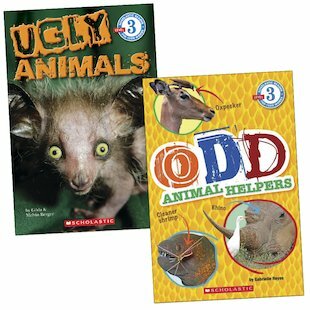 From Level 3 of the popular Scholastic Reader series, these books introduce growing readers to some of the world’s quirkiest creatures and their curious habits. 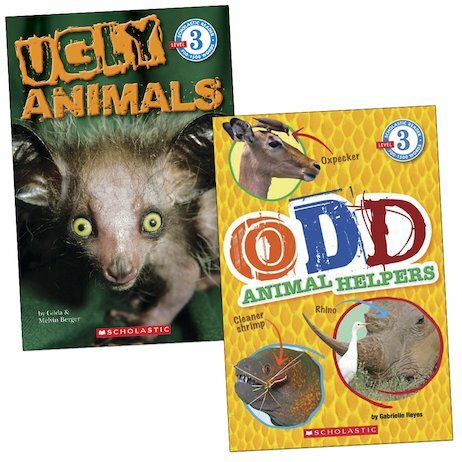 Weaving dozens of stimulating facts and photos into a more complex text to stretch literacy skills, these books will get youngsters informed – and keep them inspired!